This wooden Rocking Chair is Amish handcrafted from solid ash wood. Choose to have this Amish Handcrafted Lumbar Porch Rocking Chair Unfinished, Varnish over Natural Wood or painted in your choice of white, burgundy, green or black. This Amish Made Outdoor Furniture is handmade and assembled with special care and integrity that you can only find in American made furniture. The parts of this Amish porch rocking chair are precision fitted and finished. Please call one of our Amish furniture specialists with questions or ordering assistance. They are happy to help in anyway that they can! 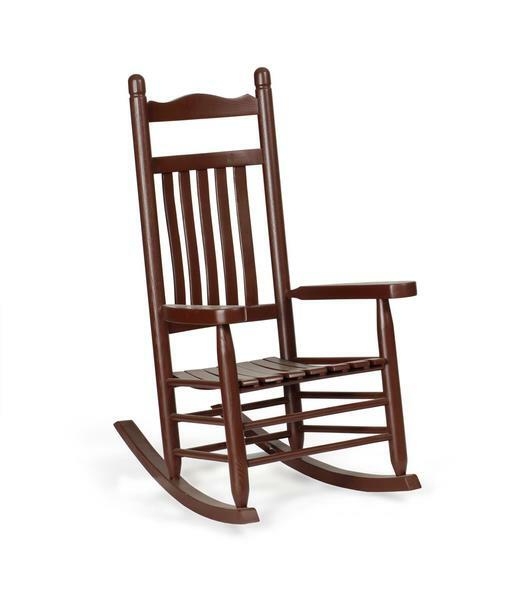 Add beauty and comfort to your yard or patio with the Amish Lumbar Porch Rocker. It is made of environmentally friendly pressure-treated Ash lumber and stainless steel screws to stand up to years of outdoor use. The edges have been smoothed and rounded to eliminate splinters.